Portable Rapid Typing Tutor v4.3 free Download If you want to learn to write fast on your computer, without mistaking and without looking at the keyboard, here we present this free typing tutor for pc and very funny. Learn typing simply and with a challenging program. 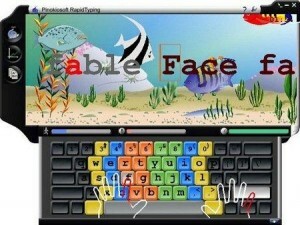 This free software will serve children and adults , quickly improving their typing skills. It is about not looking at the keyboard to learn to write with the computer as the professionals in typing. For this, Portable Rapid Typing Tutor shows you on screen a virtual underwater world full of surprises to keep your attention on the screen and do not lose detail while learning to write without looking at the keyboard. For this aquatic world new surprises will appear as you increase your writing level. You also have, to help you on screen a reproduction of the keyboard of the computer so that can guide you in your learning process.